From time to time we update our textures, create new camos or add new markings for new factions. Some off those updates we wanna show in this thread. 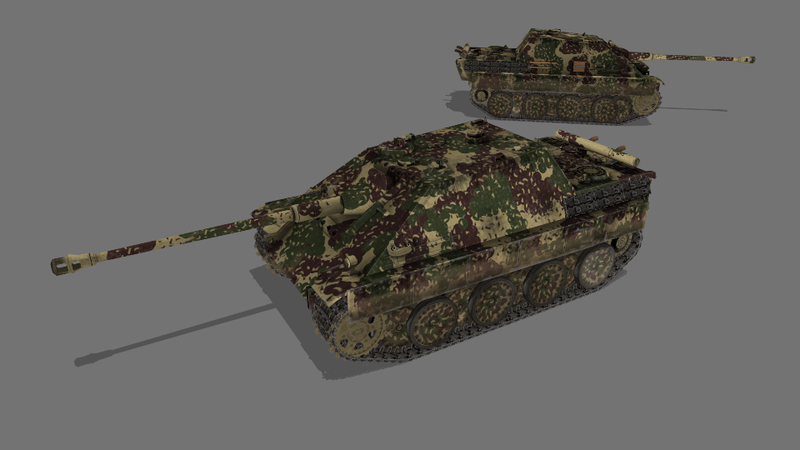 Lately we altered the Stug IV texture and also added some new camos and a version without zimmerit. 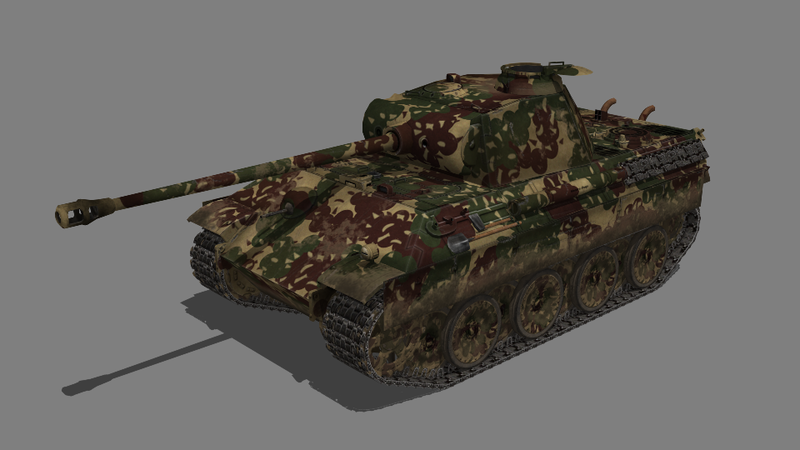 That was needed, because the original texture was to bright compared with other German Vehicles. For sure no original texture gets lost, we backup all our files, also the original psd files. In popular culture, most German tanks are shown painted in grey, which makes for great visual symbolism, since grey is the perfect colour for an oppressive, joyless, totalitarian enemy. You can also find grey (or panzergrau) Panzers on the FH2 map Mount Olympus and if you look closely you can see the grey paint under the sand camouflage on our Africa maps. In the beginning of 1943, together with the start of total war and the switch to a war production of military vehicles, the base colour applied to German tanks in the factory was switched to yellow (dunkelgelb). The units on the frontlines received green (olivgrün) and brown (rotbraun) colours and were instructed to use these to camouflage their tanks to their liking. For winter warfare they were issued with water soluble whitewash. In fact, if you look closely at German vehicles on our Ardennes maps, you can make out the autumn yellow green brown camouflage under the whitewash. 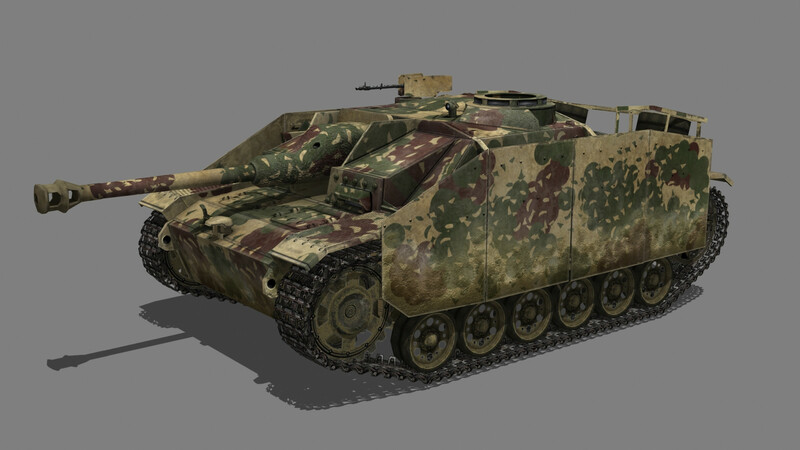 In addition to these reskinned Stugs by Krätzer, Toddel made some great ambush style camouflage (Hinterhaltstarnung). This was a new colour scheme introduced at the end of 1944. It was decided that a standardized camouflage pattern should be applied in the factory, leading to these complex patterns. You will be able to drive these vehicles soon(ish) in 1945 Eastern Germany, trying your best to delay the advancing Russians. That is truly outstanding work. Thank you! Really nice! I think Panzer IV H and Tiger textures also need such reworking! Maybe the Panzer F2 to be, what he is anyway an Panzer IV G, so he could be used on European maps. I´m in love with Toddels Tiger, maybe he could get another camo for another map, but i don´t see any need of reworking or fixing those textures. Do you mean that this camo is too bright? Good job on the textures! Yes, maybe its also caused by Totalize lighting settings, but in my opinion yellow cammo doesnt work in this game. German camo was mostly yellow though. All vehicles came out of the factory in yellow (until 1945) and where then painted with brown and green in the field. And if yo look at period photos, the yellow usually remained quite dominant. Awesome update! glad you guys reworked the StugIV, it always did look a bit out of place. As for the yellow. It doesn't serve as the best camo for this game but it is historically accurate and very well represented in game. The tanks came out of the factory in dunkelgelb, then we're mainly field painted or sometimes factory painted with olivgrun and rotbraun in whatever patterns fit. Are any other armies getting new textures?